Bankers build their career on trust, or so everyone thinks, till a series of murders threaten to destroy the reputation that the Greater Boston Global Bank (GB2) has built over the years. 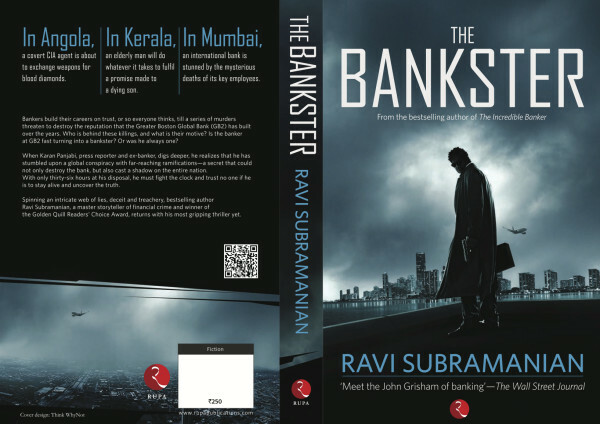 Ravi Subramaniam is a name to be reckoned with novels liberally dosed with his personal experiences in the financial services industry. P.S: It is a wonderful gesture on the author’s part to autograph the copies sent as it makes the readers feel very special and privileged- Thank you so much ! 1 – I am an investment banker myself! 2 – It is Ravi Subramanium. Having read all his books starting from If God was a Banker, there was no reason for me to leave this one. I have loved the author’s style from his first book majorly for the minute details that he observes so diligently. I am a part of this world and see many things he has mentioned, but have never been able to form it as a story like this which is par excellence. I consider myself to be a very small fish in this large pond and have always been in awe of those big fishes that are in the top league. But each time I read any of Ravi’s books I conclude that I am better off being the small fish rather than be there amongst the higher ones! The story is about a bank Greater Boston Global Bank and its employees. Wait before you conclude it is a run of the mill book about the dirty politics in the corporate world. It is much more than that. It is about blood diamonds, money laundering, murder, fraud and many other things which promise you a roller coaster ride from the moment you start reading it. Once I began reading I could not put it down and completed it in 3 hours. The author has liberally used the normal lingo which bankers tend to use in their daily conversations to make it more connectable for the readers. I enjoyed the simple and lucid language used overall in the book. This makes it an easy and exciting read. From start to finish the only thing you do is wonder – what, where, when, how, by whom….. as you try to keep up pace with its narration. The story is set up in various locations – Kerala, Mumbai, Vienna and Angola. The shifting between the locations as the story keeps changing its angle leaves you more and more curious. The author has ended every chapter on a high and began a new one in a different location which ensures you stay glued to know what happens next. Like all of us, by the time I had just some 20-30 pages left I had almost guessed who could be the culprit only to be shocked. The author has managed to give an amazing twist in the last few pages, something which I guess none of us would have expected and that definitely makes him score more brownie points. There are some wonderful nail biting moments when I almost lost my patience as curiosity got over me. But the craving to know it all helped me continue till the end and I was not disappointed.It gives you an adrenaline rush which refuses to calm down long after you have finished the book. The only thing that came to my mind once I completed was - What a book...! 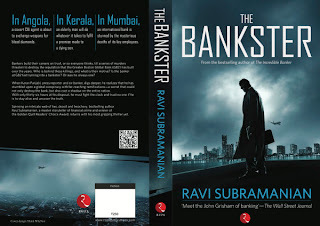 The author has managed to do a fabulous job and no wonder he has been branded as the John Grisham of banking. This book is one of the best ones by the author so far out of all that I have read as he does to all the titles he has been showered with – master story teller, winner of Golden Quill Reader’s Choice award, bestselling author etc. Excellent storyline, gripping narrative with very realistic characters makes this book a very interesting read. I thoroughly enjoyed this book and yes have recommended it to all my colleagues as a must read! If you like reading thrillers, fiction and don’t mind a little bit of corporate gimmicks in it, this book is a must read for you! I am sure by now each of us know that Cafe Coffee Day has a very intergral part to play in this story. 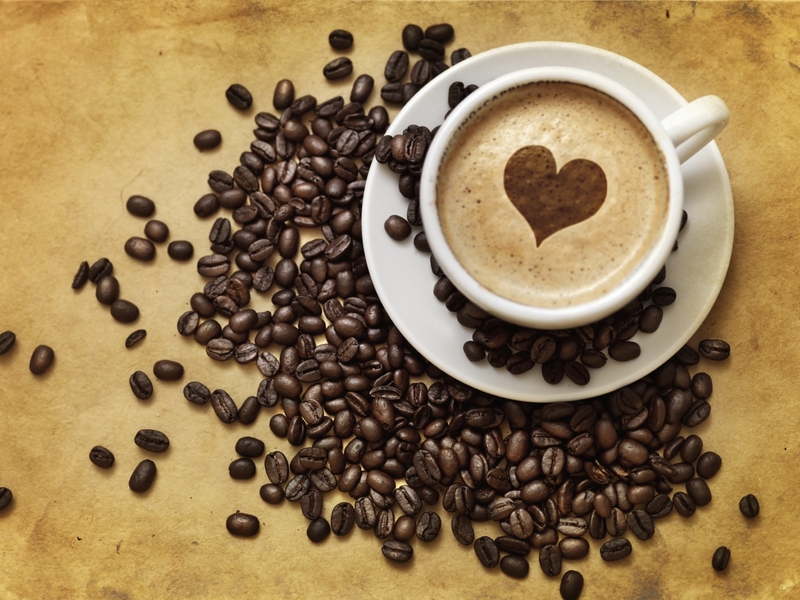 Hence for Me this book was like a warm of Latte (my favourite at CCD) - Hot, refreshing and instant energizing! Awesome!! Now I just want to read this book!! Do let me know your views on it!